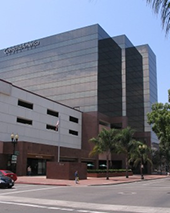 For the convenience of our clients we have an office at the Orange County Civic Center to conduct initial signup meetings, and other consultations, as needed. If you have any questions or desire a case review, please contact us. If you are injured in any kind of accident, it is important that you contact an experienced Orange County personal injury attorney as soon as possible. When you are injured in an accident, the law allows you to recover money to compensate you for many kinds of losses from the people who are fully or partially responsible. Awarded as Newsweek’s Top 10 Trial Lawyers in the Country, The Reeves Law Group has successfully represented thousands of injured clients throughout Orange County, CA for the last 30 years. The Reeves Law Group specializes in serious accident and personal injury cases, including car accidents, truck accidents, slip and fall accidents, brain and spinal cord injuries and wrongful death. If you or a loved one have been seriously injured in an accident, call The Reeves Law Group for an immediate consultation. Due to the size of our firm, we can assign multiple attorneys to any cases. Our personal injury attorneys are supported by a large staff, including legal assistants, administrators, investigators, and retained experts. We believe that having trained personnel in sufficient numbers results in better representation and greater outcomes for our clients. Dear Mr. Reeves: I appreciate your firm’s representation of me in my case. There were moments when I thought I might get hit by other cars and possibly die, while sitting in my car after it crashed into the center divider and came to a stop on the freeway. I had quite a few questions about my case and your staff made sure my questions were answered promptly. In addition to being a good communicator, my attorney worked well in guiding me through the damages claims against both the driver who caused the accident and my under-insured motorist insurance company. Your firm’s representation of me and the settlement results I received exceeded my expectations. I would recommend your firm to anyone else injured in a car accident who needs competent legal assistance. If you have been seriously injured in a car crash, you need to contact an Orange County car accident attorney you can trust. For over 30 years, The Reeves Law Group has specialized in serious injury and car accident cases throughout Orange County, including wrongful death and semi-truck accidents. Call us today for an immediate consultation. Personal injury law aims to hold people and companies accountable for injuries they cause to someone’s person, property, rights, or reputation. This area of law helps make sure that the injured victim’s do not bear the burden of their injuries when an accident was someone else’s fault. If you or a loved one has been seriously injured in an accident, contact an Orange County personal injury lawyer at The Reeves Law Group today. An average of 18,000 people in Orange County were injured or killed in auto accidents each year from 2008-2013. Many of these are caused by reckless, intoxicated, and otherwise negligent driving. If you or a loved one have been in an accident, contact an experienced car accident attorney in Orange County at The Reeves Law Group. I Was Just Injured in an Accident. What do I Do? Getting injured can be a surreal experience. Here is a concrete list of things to do directly after you are injured. Seek medical attention immediately: Your health is of utmost importance. Make sure photographs are taken of your injuries right after they occur. Continue to photograph them as time progresses. Keep all medical records. Keep all the evidence from the scene of your injury: This includes the name and contact information of witnesses, license plate numbers, pictures of the scene, the faulty product, etc. Contact an experienced attorney as soon as possible: Your personal injury lawyer will be able to give you complete instructions on what to do after your accident. Do not talk to an insurance company without an attorney: Insurance companies want to get out of these situations by paying you as little as possible. Your personal injury lawyer will ensure that you get everything you are owed. To show that you deserve compensation, you must prove that the party you are suing is liable for your injuries and that your injuries caused you some kind of loss. These losses are known as damages. Intentional wrongs: For example, arson, assault, and murder are intentional wrongs. Often, intentional wrongs have both criminal and civil actions. If you want compensation from someone who assaulted you, you will have to bring a civil action against that person. Negligence: In plain English, negligence means “carelessness.” In legalese, negligence is a breach of the duty of reasonable care to someone else. For example, you owe a duty to others to drive safely. If you do not use your turning signals before you merge and hit a car, injuring an occupant, you could be legally negligent. Strict liability: In some cases, a person is liable for an injury even if they were not negligent or did not intentionally harm the victim. For example, in California, the owner of a dog that bites someone is strictly liable for the injury that comes from that bite—even if the owner had no reason to believe the dog would ever bite someone. Strict liability also covers defective products and abnormally dangerous activities. What Happens After I Am in an Accident? If you were hurt in any of the ways you read here, or even if your injury was not mentioned, make sure you contact an experienced Orange County personal injury lawyer as soon as you possibly can. The Reeves Law Group can ensure that you are fully compensated for your injuries. Contact us today for a free consultation.